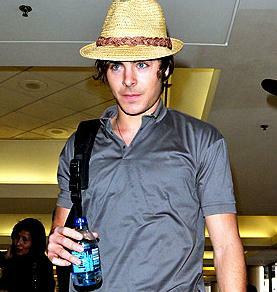 Admitting that he hates bullying, Zac Efron says he knows how to deal with it, that is by laughing it off. Country star and American Idol champ Carrie Underwood is dating reality television doctor Travis Stork, according to reports. Angelina Jolie, who has not been seen in public since the birth of her twins on July 12, is exhausted following sleepless nights spent tending to her newborns, Knox Leon and Vivienne Marcheline, and is showing symptoms of depression, according to a report. Read moreIs Angelina Jolie Dealing Post-Partum Crisis? Angelina Jolie, who is currently pregnant, seems to be a royal that trumps the expert. Read morePregnant Angelina Jolie Snubs Her Baby Doctor?